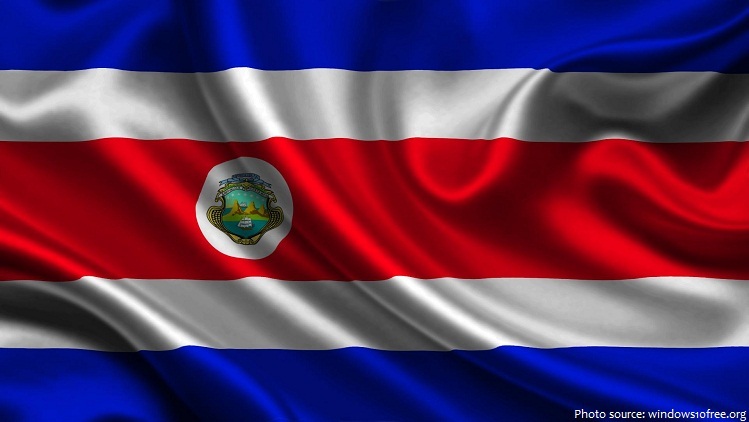 The official name of the country is the Republic of Costa Rica. Costa Rica is bordered by Nicaragua to the north, Panama to the southeast, the Pacific Ocean to the west and the Caribbean Sea to the east. As of 1 January 2016, the population of Costa Rica was estimated to be 4,836,438 people. 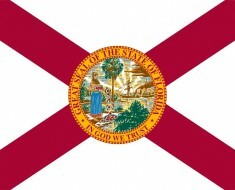 In total, Costa Rica comprises 51,100 square kilometers (19,700 sq mi), ranking it 129th in worldwide landmass. San José is the capital and largest city of Costa Rica. Situated in the broad, fertile Valle Central 1,160 meters (3,800 feet) above sea level, it was called Villa Nueva when it was settled in 1736. The nation’s terrain is a coastal plain separated by rugged mountains, the Cordillera Central and the Cordillera de Talamanca, which form the spine of the country and separate the Pacific and Caribbean watersheds. 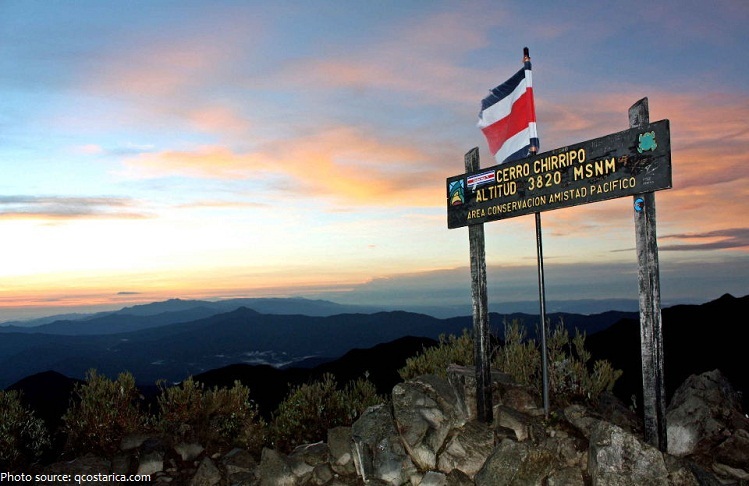 The highest point in the country is Cerro Chirripó, at 3,820 meters (12,533 feet); it is the fifth highest peak in Central America. Cocos Island is the most remote part of Costa Rica, nearly 600 kilometers (360 miles) into the Pacific Ocean, southwest of the mainland. It is uninhabited island (about 8 km × 3 km (5 mi × 2 mi)) designated as a National Park that does not allow inhabitants other than Costa Rican Park Rangers; Millions have seen this island on film, in the opening moments of the Steven Spielberg film Jurassic Park. Costa Rica has a coastline length of 1,290 kilometers (805 miles); 212 kilometers (132 miles) on the Caribbean coast, 1,016 kilometers (633 miles) on the Pacific and Cocos Island 62 kilometers (40 miles). With two coastlines surrounded by lush jungle, Costa Rica is famous for some of the most beautiful beaches in Central America. 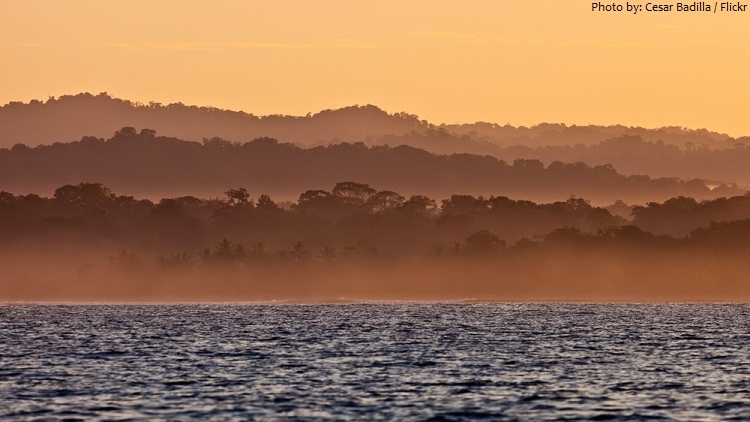 Costa Rica has nearly 300 different beaches along its stunning Pacific and Caribbean coastlines, each with a unique draw and distinct setting. One fifth of the country is covered in forests. There are currently 26 National Parks of Costa Rica; all protected areas encompass more than 25% of the country’s total landmass. 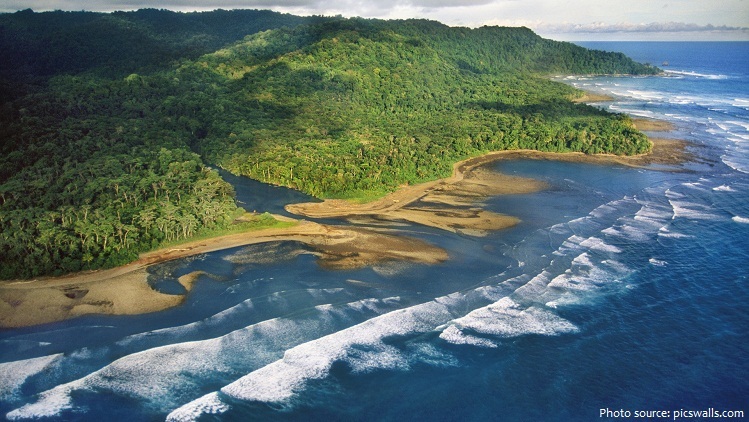 The crown jewel of Costa Rica’s national park system, Corcovado National Park, is comprised of an enormous 103,290 acres (41,800 ha) of tropical rainforest. It is the largest park in Costa Rica and protects about a third of the Osa Peninsula. National Geographic has called it “the most biologically intense place on Earth in terms of biodiversity”. 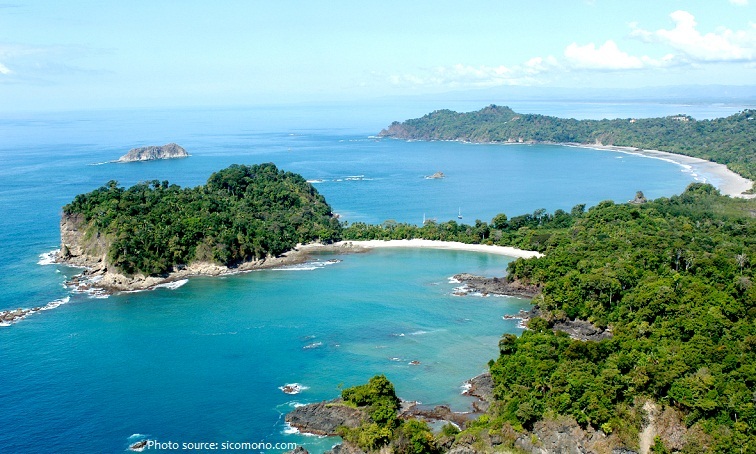 Manuel Antonio National Park is the smallest national park in Costa Rica. This park has one of the most impressive landscapes in the world and has several coves with many white sand beaches and lush foliage amidst great mountains and forests that reach the beaches. It has been rated as one of 12 most beautiful national parks by Forbes in 2011 and is one of the most visited parks in the country. There are more than 200 volcanic formations in Costa Rica, and six of them are active. One of Costa Rica’s most notable natural features is the Arenal Volcano. At 1,657 meters (5,437 feet), the Arenal Volcano looms large and ominous over the pastured green hillsides that surround its base. 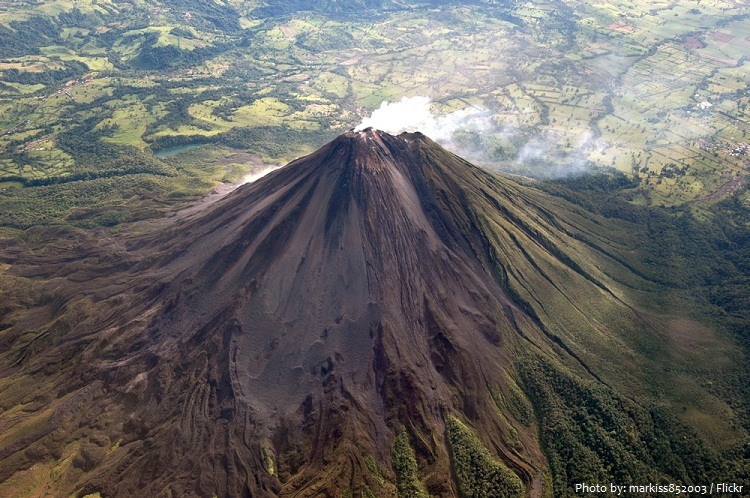 Although currently in a resting phase, Arenal remained the country’s most active volcano for the past 43 years. 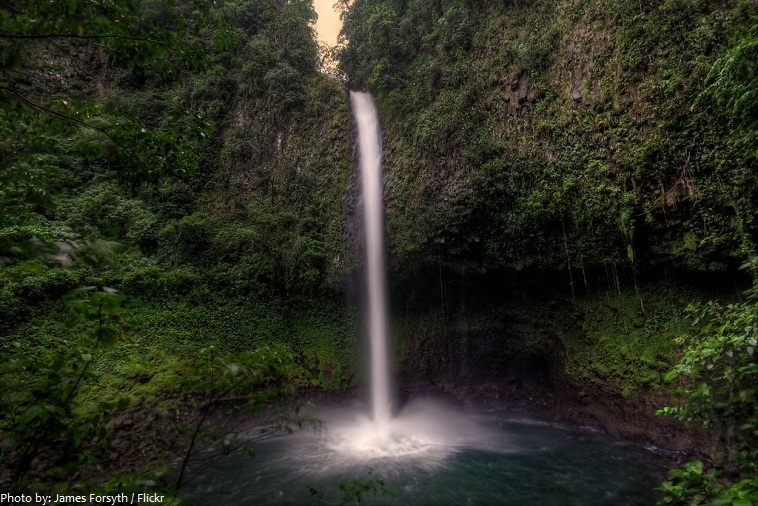 La Fortuna Waterfall offers one of the most beautiful scenery in Costa Rica. The waterfall drops about 70 meters (230 feet)and is located at the base of the dormant Chato volcano, about 5.5 kilometers 3.5 miles outside of the town of La Fortuna, near the Arenal Volcano. Cloud forests — lush forests at high elevations where the heavy mist and clouds almost always hang in the air—occur on Costa Rica’s mountaintops. 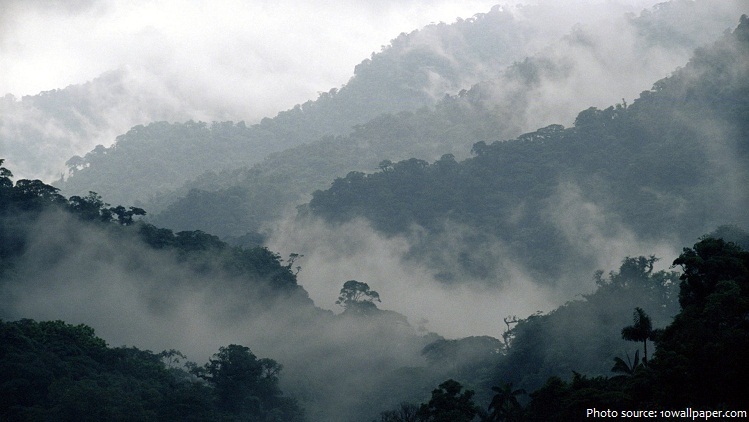 The Monteverde Cloud Forest Reserve in Costa Rica is the largest cloud forest in Central America. San Jose’s National Theater a crown jewel in architecture which is very ornate with neo-classical undertones. 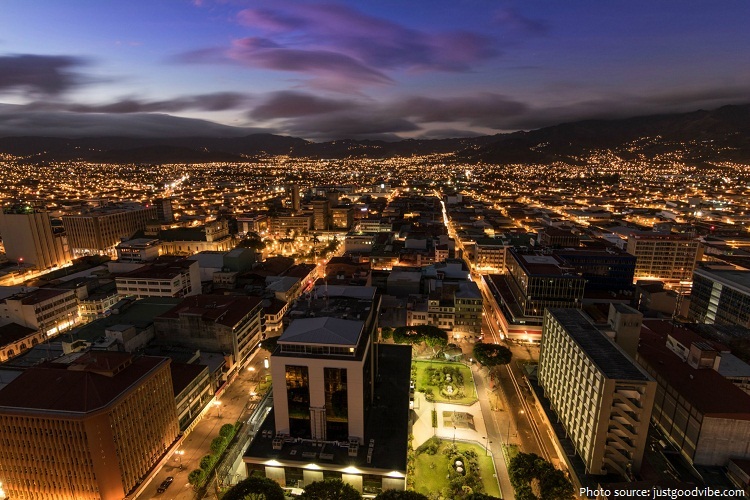 It is located in the central section of San José. Construction began in 1891, and it opened to the public on 21 October 1897 with a performance of Johann Wolfgang von Goethe’s Faust. The Basílica de Nuestra Señora de los Ángeles (Our Lady of the Angels Basilica) is a Roman Catholic basilica located in the city of Cartago. 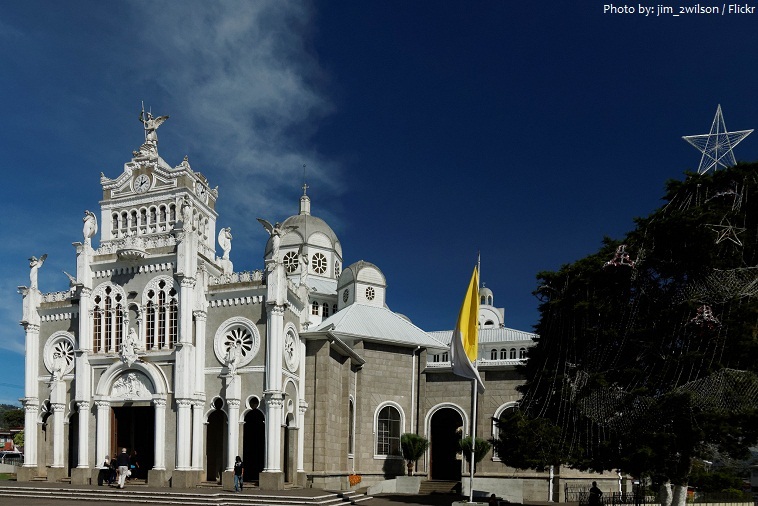 The basilica was built in 1639 and was partially destroyed by an earthquake. The basilica has since been restored and constitutes a unique mix of colonial architecture as well as 19th century Byzantine style, the current building dates back to 1939. Costa Rica was inhabited by an estimated 400,000 Indians when Columbus explored it in 1502. 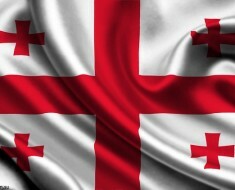 The Spanish conquest began in 1524. 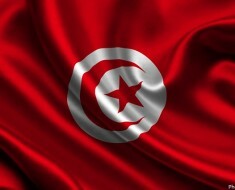 The region grew slowly and was administered as a Spanish province. 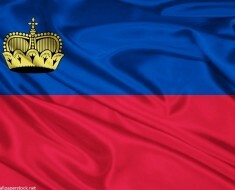 Costa Rica achieved independence in 1821 but was absorbed for two years by Agustín de Iturbide in his Mexican empire. 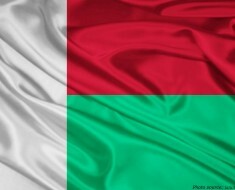 It became a republic in 1848. Coffee production has played a key role in Costa Rica’s history and continues to be important to the country’s economy. 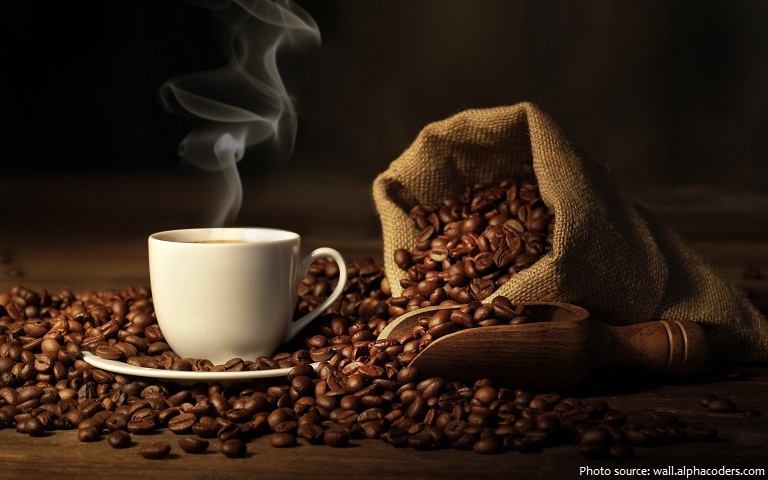 More than 100,000 hectares (247,104 acres) of coffee are planted in Costa Rica, which is currently the 13th largest coffee exporter in the world. Costa Rica is the largest exporter of pineapples in the world; and the second largest exporter of bananas in the world, after Ecuador. 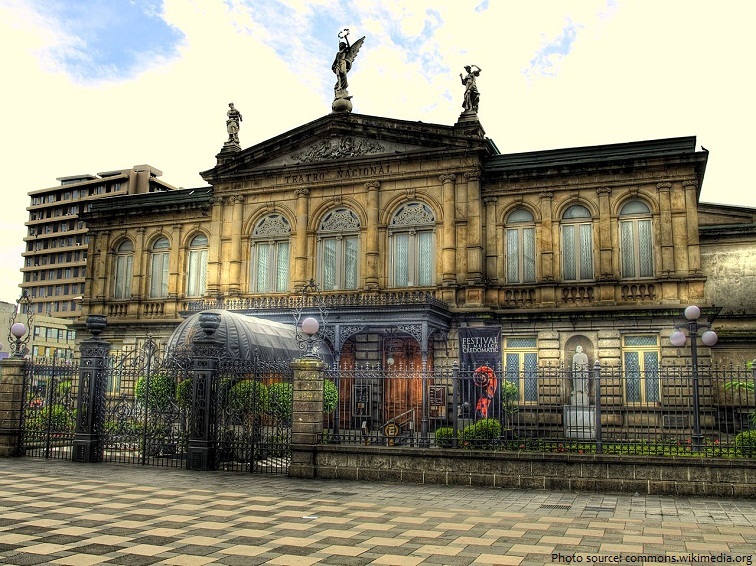 Since 1995, tourism is Costa Rica’s leading industry, and over two million visitors arrive every year. Costa Rican cuisine is known for being fairly mild, with high reliance on fresh fruits and vegetables. 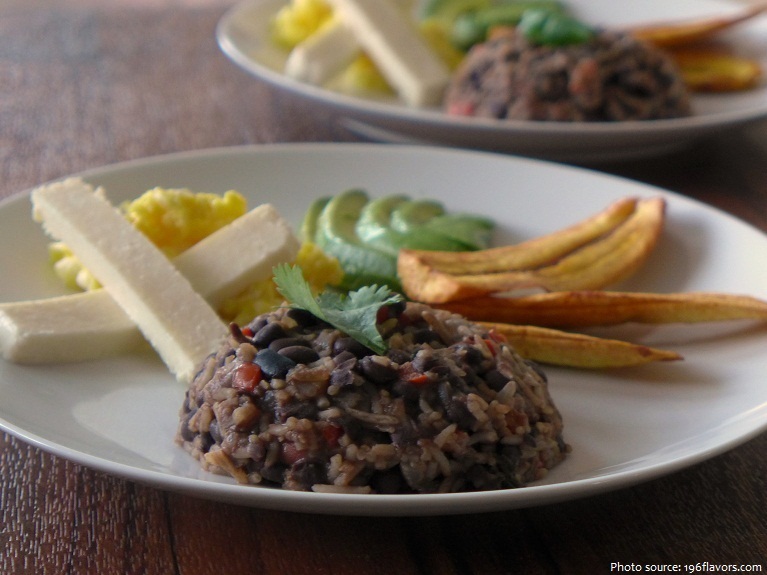 Gallo Pinto, which has a literal meaning of “spotted chicken”, is the national dish of Costa Rica. It consists of rice and beans stir-fried together in a pan to create a speckled appearance. It is usually served for breakfast along with cheese, scrambled or sunny-side-up eggs, fried plantains, avocados, tortillas, etc. 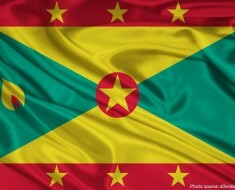 Costa Rica abolished its armed forces in 1949 and has no standing military; however, the country still maintains a small force to enforce laws and assist with foreign peacekeeping. Costa Ricans call themselves ticos (males) and ticas (females). 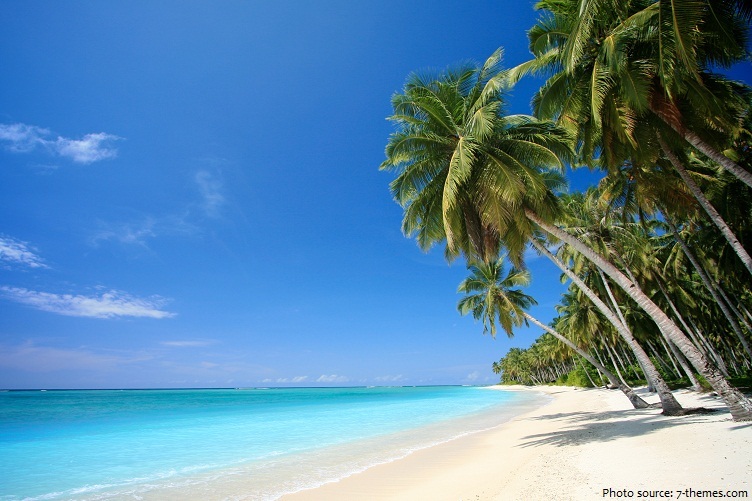 Costa Rica has an exceptionally high life expectancy of 79, one of the highest in the world.